It was good to see the government’s decision to amend Section 18C of the Racial Discrimination Act, as the reforms will strike a neat balance between freedom of speech on the one hand and a reasonable embargo against racial vilification on the other. Part of my elation at the proposal is due to the fact that I proposed the same thing in a paper I circulated a few weeks ago; well, I proposed the same thing with an additional reform that the government did not pick up, namely trial by jury for alleged breaches of the Act. But, as George Brandis has said the government will consult on the fine tuning, I will return once more unto the breach and renew my representations. The whole point of repealing Section 18C was to get away from impugning guilt simply because a judge concluded that the claimants were offended because they themselves said they were offended, a revisitation of those immortal words of Mandy Rice-Davies during the Profumo scandal: ‘Well, they would, wouldn’t they?’ If the individual claimants themselves did not say they were offended, then the judge was entitled to say, as the judge in Bolt’s case in effect said, ‘Well, their group would have been offended.’ Well, of course they would have, wouldn’t they? These restrictions meant that a defendant had to fight with one arm tied behind his back and, for that reason, there was an air of inevitability about Bolt’s looming defeat right from the beginning. 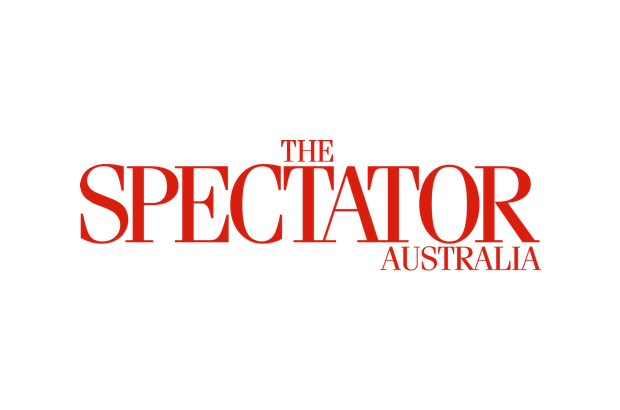 This subjective test, as the lawyers call it, will now be replaced by an objective test where the defendant is to be judged ‘by the standards of an ordinary reasonable member of the Australian community’ and not those of a group. That is a good thing. But under the reforms a judge will still determine those standards and whether they have been broken. If we really want community standards to prevail and to do away with this particularly bad piece of judge-made approved and disapproved conduct, we should have trial by jury so that these contentious issues can be resolved by the only body really qualified to do so: 12 good men and women. After all, if the purpose of such legislation is to protect the community from racist conduct, why not ask the community, in the form of a jury, if it thinks it needs to be protected from the conduct complained of? Oh, and there is another reason for adding jury trial to the reforms; it will send the lefties and the human rights mafia into a white rage. If there is anything they loathe, it is giving the ordinary mass of people a real say in how their conduct should be judged; there has always been an authoritarian streak in the Left, because the only way its agenda can be implemented is to impose it by force, even if the amanuensis through which they do it is a judge. But already its regiments are lining up on this issue; stocks of goat’s cheese are being laid in, more yoga classes scheduled and there are rumbles in latte shops from Brunswick to Balmain, for when the law is changed they will have lost a major battle to dictate to people what they may say or write. Go for jury trials and you will be striking a real blow for freedom. Talking of the law, its glacial wheels have at long last turned sufficiently to have Craig Thomson convicted and sentenced, not to 12 months’ imprisonment, as some in the press seem to think, but effectively to three months, as the rest of his sentence has been suspended. My guess is that it will be even less than that by the time he gets into the system and works off his time. But he is, of course, taking a tremendous risk that he does not come out the other end of his appeal with a longer sentence. We are all very coy about commenting on the sentence for fear of transgressing on some alleged principle that prevents us from doing so while an appeal is pending. The interesting thing about these principles is that new ones keep being discovered. For instance, the shadow Attorney-General Mark Dreyfus has been advancing the ‘no comment’ tactic, presumably as part of the interminable defence of Thomson that the Labor party has mounted to protect their brother in the face of the facts. But this alleged principle, in fact, does not prevent comment on Thomson’s sentence, provided it is not calculated to influence the rehearing appeal, which of course I am not trying to do. But let me say that the sentence was absurdly light and out of all proportion, on the low side, to the seriousness of the offence that was based on repeated and calculated theft, without any excuse, regret or remorse and where the victims were innocent hard-working and low-paid employees; it was worth, in my experience, at least two years, with no suspension. Punishment is supposed to be a deterrent, but three months in prison is none. Although Andrew Bolt’s case had to be brought with all the grandeur and panoply of the Federal Court, although it was based on a few newspaper articles, Thomson’s case, with thousands of victims, was relegated to a state magistrates’ court and dealt with under state laws, with the result that you have seen. There should therefore be federal laws to punish what is in effect theft with many federal connections, notably the trade union link, the union members who were cheated, the crossing of state boundaries and the use of federal services like banking and communications. As union crime looks like being a growth industry, it is time for the federal law to take its proper place.